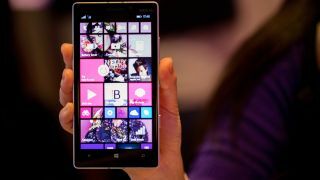 Nokia Lumia 930 release date and price: where can I get it? The Nokia Lumia 930 is mixing with the big boys of mobile, and if you're yearning for some Windows Phone 8.1 love then the 930 is the best handset around. It sports a meaty 2.2Ghz quad-core processor, 2GB of RAM, 5-inch full HD display, 32GB of internal storage, 1.2MP front camera and 20MP rear snapper. In true Lumia style the 930 comes in a range of colours including the muted black alongside the more eccentric green and orange. The Windows Phone flagship has hit stores, so here's where it's landed, and for how much. Carphone Warehouse wasn't backwards in coming forwards on the Nokia Lumia 930 price, and the handset is now available for free on contracts starting at £30.50 per month. You can only choose between O2 and Vodafone though. If you don't fancy being locked into a two year deal, Carphone also has the Lumia 930 available SIM-free for a relatively reasonable £479.95 - but you can get it cheaper elsewhere. Keep reading to find out where. Opt for a pay month deal and you'll also get a free Nokia wireless bundle (wireless speaker, wireless charger and £20 app voucher) worth £130. You can pick up the Nokia Lumia 930 over at Phones 4U, and if you're a fan of white the good news here is that the high street retailer has that colour exclusively along with the black, green and orange options. The Lumia 930 can be had for free on contracts starting at £29 per month, but there are no SIM-free of PAYG deals available. In terms of network selection Phones 4U is offering the Lumia 930 on EE, Orange, T-Mobile and Vodafone, and it will also chuck in a free wireless kit worth £150 - which includes an additional white treasure tag on top of Carphone's offering. O2 has the Nokia Lumia 930 in stock on contract and PAYG deals, with the latter setting you back £479.99. If you order before July 31 you'll get the free wireless bundle, but if you want a free handset you'll need to stump up at least £43 per month for two years giving you 5GB of 4G data and unlimited minutes and texts. You can get yourself a free Lumia 930 over at EE from just £29.99 per month on a two year contract with 1GB of data, 1000 minutes and unlimited texts. Once again there's a free wireless kit worth £130 on offer for anyone who orders before July 31. The Big Red also have the Nokia Lumia 930 in stock and ready to go and to sweeten the deal it's offering a £40 app voucher, wireless charging plate and wireless Bluetooth speaker on orders before July 31 (or until stocks last). The contract Vodafone is pushing for the Lumia 930 is its £43 per month Red 4G plan which will give you a free handset and either a Sky Sports Mobile TV or Spotify Premium subscription for up to two years. Three has confirmed that it won't be stocking the Nokia Lumia 930. Sorry, Three fans. Unlocked-Mobiles has the Nokia Lumia 930 in stock for just £449.98 SIM-free, undercutting the price over at Carphone. It'll throw in the same Nokia wireless bundle worth £130 that Carphone is offering, and you won't be trapped in a contract. The Lumia 930 is pretty much the same price over at Expansys too, with the SIM-free handset listed at £449.99 on pre-order with stock expected very soon - but there's no lovely wireless bundle. If you're looking for an even lower SIM-free price then you'll want to head to Clove, as the Lumia 930 is just £435 - but the free bundle offer expired on July 17.